Colette Carlson, M.A. is a funny and exciting Human Behavior Expert and author who motivates thousands worldwide revealing the power of Speaking Your Truth! Only by telling the truth on herself, combined with her hunger for personal development, was she able to overcome her own fears and addictions that kept her 50 lbs. overweight and making underwhelming choices. Whether she’s opening for Suze Orman in a crowd of 3500, being featured in Success Magazine, or speaking in-house at Fortune 100 companies to include Microsoft, Boeing, PepsiCo and Cisco, Colette brings her wit and wisdom to every program. After applying the strategies she now teaches, she was able to leave the security of a monthly paycheck as an administrative assistant, step into the realm of commission-only sales for legends Tom Hopkins and Brian Tracy, and become a National Sales Trainer for a major corporation. In the midst of raising her two daughters, Colette went back to night school to earn her Masters in Human Behavior which certainly helps now that they’re teenagers! Ivy Meadors, has always been her own person and startlingly independent. Her life story includes many illustrations of her willingness to listen to and follow her own conscience, even when it seemed to contradict what was expected and challenged the norm. The founder and CEO of High Tech High Touch Solutions, shares over thirty years of leadership experience, cultivating an expectation of excellence by supporting the following core pillars: leadership, traditional and non-traditional communication techniques, and progressive deployment of technologies. Her accomplished and distinguished service with U S West Communications and IBM positioned her to launch and build a successful Consulting business. Here she led countless initiatives where her dynamic imprint improved Fortune 500 corporations, U.S. Government agencies, universities and non-profit organizations worldwide. Ivy's experience and independent thought leadership transforms businesses and people by “seeing” things that are not so obvious to others. Ivy is the co-author of "Success is a State of Mind", along with Deepak Chopra, Les Brown, Mark Victor Hansen, and other brilliant authors. She has been published in top technology and service industry magazines and also published her own magazine, Support Solutions, for years. An active member and professional speaker designated by the National Speakers Association, Ivy has shared the stage with influential people like Mark Sanborn, Jack Canfield, Ken Blanchard, Mark Victor Hansen, Les Brown, and other icons. She brings her life-leanings to the table and is the power behind the Ignite Summit, Signature Customer Service and Support Conference and Expo, and the Government Customer Support Conference and Expo. 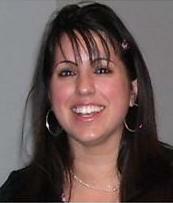 Kimberly Leverich, a customer service manager for over fourteen years, in her role as a leader performed several roles from opening a brand new call center division, leading a team of call center professionals, managed the team's performance and ensured service levels for the corporation were met and exceeded. She is responsible for the development, implementation and delivery of training programs in customer service and leadership development seminars for PacifiCorp employees. Kimberly’s breath of knowledge about corporate customer service coupled with a Masters in Organizational Management, her passion for sharing knowledge has allowed her to develop, motivate and build leaders within the call center. 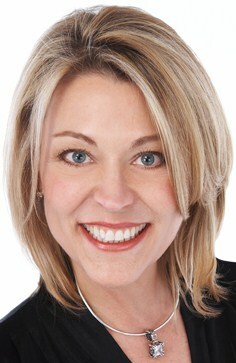 Her areas of expertise are in employee morale, advanced communication, and leadership development. Corina Stretch brings over 25 years experience in the customer service Industry. She has worked for over 22 of those years at Puget Sound Energy, Washington State’s largest Utility Company, as a supervisor, outage manager, trainer, coach, and mentor, where she currently plays a key role in the 200+ seat department’s daily business operations. Throughout her career, Corina’s desire to educate and inspire others led her to start her own business, Simply Customer Service, Inc., in 2005. This has made it possible to motivate, and encourage her audience to live up to their full potential in any business organization. Corina has also conducted numerous engaging workshops and presentations on Leadership, Customer Service, Diversity, and Personal Development. 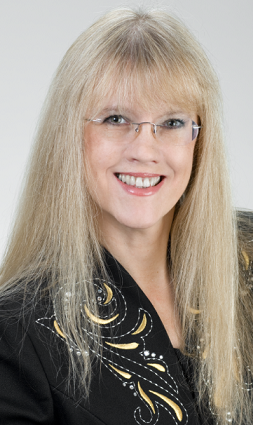 She is an accomplished and nationally recognized speaker by Toastmasters International. Corina is currently working on her first book, “Stretch to Connect” that will help spread her encouraging message to a global audience. Karen Lee has had successful careers in travel, cosmetics and the restaurant business when she had a skiing accident that changed the course of her life. A former restaurant owner, Karen, at age 30, went back to school and got a degree in business management and marketing. Karen was hired as a cashier by Costco Wholesale in 1997 and quickly moved into management. In 2000, she was promoted to the corporate contact center managing Member Services. She went on to manage Executive Services and finally assumed responsibility for the customer service of costco.com in 2005. In 2007, Karen was promoted to General Manager with a staff of 150, now in two locations. Karen is passionate about mentoring and is dedicated to helping others realize their career potential. Seanna Sams, an innovative leader of change in her organization, most recently with the Washington State ProviderOne project, a new payment system processing claims for 100,000 providers who serve 1 million people. In her role as the Call Center and IVR business analyst, eight toll free lines were merged to a single 800 number, seven new IVR applications were implemented and agents experienced screen pops for the first time. She held the primary role in the management of system design, testing, development and delivery of staff training. Seanna is the Siebel Administrator within the Medicaid Purchasing Administration and has returned to her permanent position as the Operations Manager of the customer service center that receives over 75,000 calls each week. She continues to be a resource for all areas of the administration when solutions are quickly needed. Lisa Prendergast, is a seasoned expert in the event services industry with over 13 years of experience managing the design, planning and delivery of numerous conferences, expositions and events throughout the country. She is Vice President of Conference Management at High Tech High Touch Solutions, Inc., a company dedicated to the highest quality of education for customer support professionals and business women aspiring to be leaders. Lisa delivers an exceptional level of service to speakers, sponsors and attendees alike and will do “whatever it takes” to ensure each event will produce results that exceed expectations. Prior to the event services business, Lisa served as the Director of Recreation at a Nursing Care Center where she established and evaluated activity programs to meet the various social, emotional and physical needs of its residents. Lisa has volunteered with Hospice Care and within her community giving strength and encouragement to the people she meets through these programs. She received a B.S. in Human Sciences and Services with honors from the University of Rhode Island in 1992. Lisa lives in Massachusetts with her husband and takes great pride in raising her two children. Mary Kay Wegner is the IT Director/CIO for Renton Technical College and Information Technology Commission President for the consortium of community and technical colleges in Washington state. She contributes her time, expertise and energy to local and national organizations, including the Help Desk Northwest User Group; Government Customer Support Conference; and as a speaker and program developer for various Call Center, Help Desk and Government Support conferences. Prior to working in information technology, Mary Kay managed a regional corporate training organization in the Pacific Northwest. Educating others and tapping into the experience of those who are committed to learning have been recurring themes in her leadership focus. Contributing to the development of the Ignite Women’s Leadership Summit is a dream that has been evolving for years. This is an exciting time for women in management today; and no better time for women to make a difference in not just their organizations but in the workforce of tomorrow. Those who recognize and take advantage of this unique and powerful opportunity will not just be inspired but will have the tools and connections to begin shaping their own leadership identity and influence as a result. Yolunda Davis began her IRS career more than twenty seven years ago as a co-op student. She has transversed through a variety of administrative support positions in Facilities Management, Personnel, Training and Quality. She has over seventeen years of experience as a Management Analyst and has extensive experience in management. She has been a part of the IRS Employee Resource Center from its inception in October 2001 where she served as a Senior Program Analyst for seven years. In September 2008, she was selected as the Associate Director of the Employee Resource. 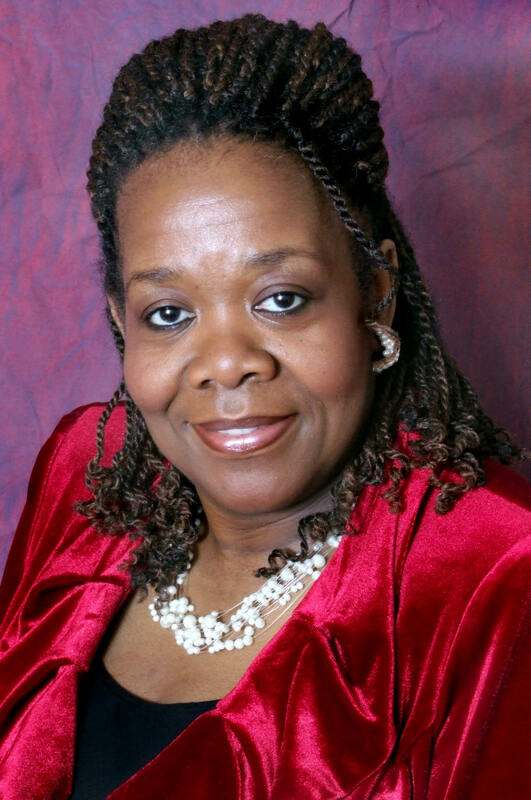 Yolunda holds a Bachelor of Science Degree from the University of Alabama and is an accomplished motivational speaker. She is a respected member of the Customer Service community, currently serving on the Board of the Government Customer Support Conference organization.